This presentation offers up a number of critical reflections and proposals for further action resulting from a case study in experimental museology titled Sámi Dáiddamusea (Sámi Art Museum). This is an ongoing, open source “museum performance” that is co-authored and co-produced by our institution, Nordnorsk Kunstmuseum (Northern Norway Art Museum, based in Tromsø), and RiddoDuottarMuseat (a Sámi museum collective based in Karasjok, Norway). The context is thus the high north of Europe – a multi-cultural, transnational Arctic space that is amongst other things home to Sápmi, the traditional lands of the Sámi indigenous peoples spanning across Norway, Sweden, Finland and the Kola Peninsula of Russia. 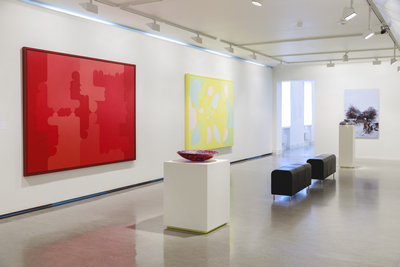 In February 2017 Nordnorsk Kunstmuseum, a state-funded and state-founded institution established in the mid-1980s with a mandate to work with “Norwegian” art and craft, ceased to exist. In its place, an alternative institution emerged: the as-yet unrealized Sámi Dáiddamusea or Sámi Art Museum that has long been the desire of the Sámi artistic community, museum sector and society at large. Across the next two months, this fictive indigenous arts institution performed a possible version of itself, inscribing and precipitating a form of virtual reality that raised timely questions about the general absence of Sámi art within Nordic arts institutions and Nordic art history, as well as the lack of understanding for and limited ethnographic framing of Sámi culture within the arts, museum and culture sector and society more broadly. This performative shift was achieved through alterations to Nordnorsk Kunstmuseum’s interior and façade – a sort of “total make over” including the display of an entirely different collection of art (that is consigned otherwise to a storage facility managed by RiddoDuottarMuseat in Karasjok), the use of Sámi language for both exhibition texts and general signage, a revamped museum shop, the creation of an independent graphic identity and accompanying communication platforms such as a rogue website and Facebook account, and the production of a range of related ephemera: postcards, posters, business cards, stickers, buttons, t-shirts and assorted merchandise. The result was a speculative space, complete with a performance artist as director, that pointed toward an alternative reality – one that linked to a different past, existed in a parallel present, and signalled another (still attainable) future. In this alternative reality, Sámi Dáiddamusea opened its doors on the 15th of February 2017 with the inaugural exhibition There Is No, and disappeared again just two months later on the 16th of April last year. During that time it offered a full range of outreach and programming activities to its public, from tours, concerts and seminars to workshops for families and children, amongst others, while knowinlgy propagating and reproducing itself through social media feeds used by local visitors and international tourists alike. All of this happened overnight and without prior warning, with the first announcement of Sámi Dáiddamusea’s existence to both the press and general public coming from Sámi Dáiddamusea itself on institutional letterhead and digital platforms. The other half of the time aspect of this project is equally important, with Sámi Dáiddamusea being conceived and realized in a period of roughly two to three months, right from initial concept straight through to final implementation. As a museum performance Sámi Dáiddamusea aimed to open up and drive debate around existing understandings of what museums are, what they do, and how they behave, both within a Sámi / Nordic context and beyond. In so doing, Sámi Dáiddamusea mapped out intentionally disruptive strategies of co-authorship, temporality, tactical anonymity and rapid institutional change that sought to decolonize and indigenize a dominant museum space (and its accompanying mainstream narratives) from within. Sámi Dáiddamusea has proven to be a tool for both external advocacy and self-critique. 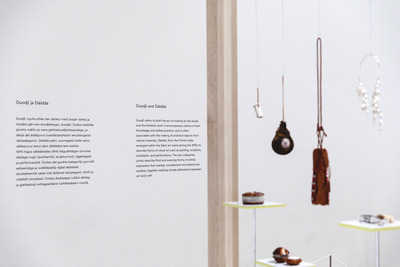 It has acted as a springboard for important institutional transformations at Nordnorsk Kunstmuseum in the project’s aftermath, such as the continued use of Sámi language and a heightened awareness for the varying degrees of change still needed with regards to the museum’s official statutes and mandates, for example, as well as its staffing and approaches to recruitment. Sámi Dáiddamusea thus plays a crucial part in the onwards reinvention of Nordnorsk Kunstmuseum as a museum that takes seriously its own history, is reflexive and self-critical enough to recognize the ways in which it has been failing and/or ignoring core members of the community it is meant to be serving, and is then open and generous enough to act upon such problematics by engaging head on with them in productive and generative ways in collaboration with other stake holders and community members. This is about claiming – or indeed re-claiming – the museum as a public space for dialogue and co-creation driven by a shared, dispersed, generative and hands-on conceptualization of ownership. Sámi Dáiddamusea challenges, second-guesses and attempts to rewrite our sometimes too-limited understandings of authorship, expertise, authority and heritage. In the case of Nordnorsk Kunstmuseum there was a pressing need to connect to and work together with and for the Sámi community, to indigenize and multi-culturalize our museum space and attendant identity, and to reach out in earnest in the role of supporter and fellow citizen. This involved establishing trust, credibility and common ground – an underlying approach that communicates a wider mission of and commitment to inclusion, signalling the desire for a museum space that welcomes and indeed embraces other voices and a multiplicity of points of view. The first iteration of Sámi Dáiddamusea met, over time, with increasing critical acclaim, winning a total of four prestigious prizes within the arts and culture sector in Norway during the course of 2017: Museum of the Year (Norwegian Museums’ Association), Art Critics’ Award (Norwegian Critics’ Association), NPU-Award for “Next Practice” (Audiences Norway), and the Municipality of Tromsø’s Culture Award. While the public appeal and resonance of Sámi Dáiddamusea should by no means be underestimated, the project is at its core a seductively hard-hitting critical voice of protest and provocation. At the same time, its revolutionary intent is coupled in turn with a fundamental positivity, with the project now going on to look for new and unexpected ways in which to further reinvent itself and precipitate more debate, outputs and action. It is thus both probing and generative in equal measure, seeking real change and the enactment of an alternative future through a basic outlook of care and generosity. As an experiment in indigenizing and decolonizing the museum, Sámi Dáiddamusea aims to deliver concrete strategies and actionable measures for rapid change that might hopefully prove transferrable to other institutional settings, cultural frameworks and political contexts. Its main takeaway is the message that we can and must challenge longstanding imbalances in the communities we serve through a radical and productive rethinking of the museum. Indeed, perhaps one of the healthiest things many museums can do in response to the varied demands of the present is to intentionally embrace an alternative condition in which they do not exist, or have been replaced by another institution entirely. This approach defines the very concept of the “museum performance”, and the speculative proposition it in turn points to for a new conceptualization of the museum as an arena for action that exists as, when and where it is (most) needed.